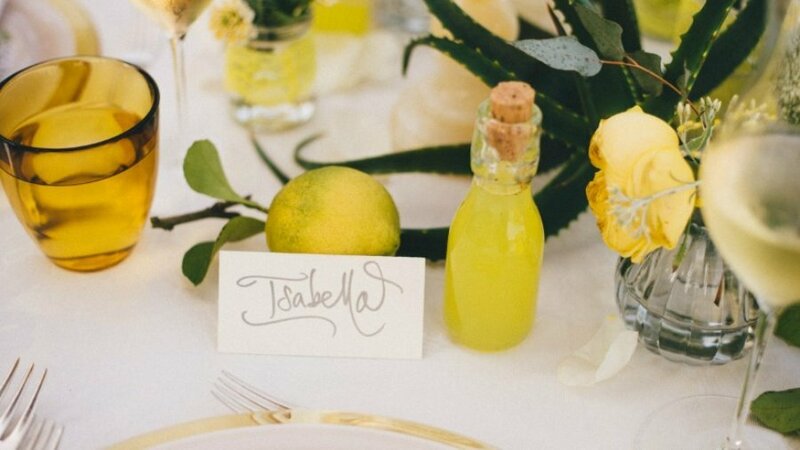 Limoncello inspired bridal shoot inspired by lemons and limoncello. Classy, yet delicate – perfect for a destination wedding in Italy. Every bride seems to have a color scheme or wedding theme in mind! 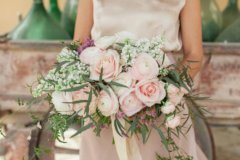 Today I’d like to share with you one of my favorite Summer wedding themes. My favorite color is yellow and this post is about a Limoncello inspired wedding shoot we did last June in Sorrento, together with a super talented wedding and family photographer Amy Spirito. Amy is Boston-based destination wedding photographer. Think about it, your wedding invitations, cake, and favors are great ways to show off your wedding theme to guests, especially if you plan to have your wedding celebration in Italy! Just like these ones inspired by lemons and limoncello. Classy, yet delicate – perfect for a destination wedding in Italy. Our shoot location was Hotel Cocumella – five-star hotel with an incredible garden offering a variety of beautiful flowers and ancient trees native to the Amalfi Coast. But the main reason we came here is to get hold of these perfect limoncello lemons. Soak into the Amalfi coast stunning romantic views. Hotel Cocumella is a great choice for a destination wedding near Naples or honeymoon with a fantastic view of Mount Vesuvius! 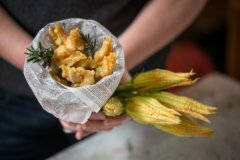 A winning combination for unique destination event in Italy. 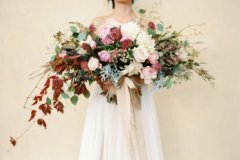 I am an artist and love styling and planning events with my clients, and have been attracting lately many brides, who are very creative too, willing to get their hands dirty and make their wedding once-in-a-lifetime event! What’s your favorite color or theme for your destination wedding?